When manufacturers embark on digital transformation projects to improve factory performance, they often run straight into an IT hurdle: Most big data analytics software is cloud-based, but few factories have begun using the cloud to manage production data. Most factory IT leaders understand that applications running on a cloud platform align with IT priorities, such as minimizing support requirements, minimizing cost and increasing scalability. However, factories, especially in Asia, have been slow to embrace the cloud. Many factory managers remain wary of the perceived security risks of cloud connectivity. But a close examination reveals that these security fears are not only excessive, but actually crippling. Rejecting all uses of the cloud could severely hinder their ability to gain the benefits of digital manufacturing. Manufacturers have a well-justified fear of anything that could disrupt production. Especially in a just-in-time environment, the impact of unintended downtime ranges from damaging to catastrophic. If production machinery is connected to a network at all today, it is usually a local network. Stories of hackers turning home DVRs into botnet nodes and home security cameras into spy cams are bad enough; a Stuxnet virus that actually destroys machines is the nightmare scenario. So, where is the safest place to combine and analyze data from factories distributed around the world? The major cloud platforms are far more secure than even well-managed corporate networks, through the efforts of the world’s best security experts and the most sophisticated technology available anywhere. The technology includes multiple levels of encryption, private global fiber networks and, in some cases, custom hardware built around custom microchips. The way individual applications handle data also impacts security. 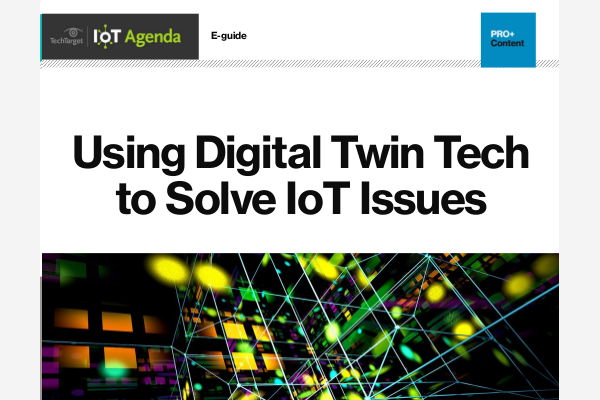 A distinction must be made between IIoT applications that can control devices and those that use the data for analytics and visibility. Also, the analytics applications in most cases aren’t pulling data directly from machines, but rather from a local database or historian that is already set up and is probably already connected to the internet. Finally, consider the data itself. In the unlikely situation that hackers penetrate one of the major cloud platforms hosting a manufacturing analytics application, the machine data would be useless to hackers. Unlike data belonging to the giant financial institutions that have widely embraced the cloud, the strings of numbers representing factory sensor readings would likely be incomprehensible to nearly anyone who intercepted them, and of little use even to direct competitors. Cloud-based analytics systems mesh far better with digital manufacturing trends than do locally isolated applications. Chief among these trends is a drive to create unified global applications built off a single source of truth of real-time data. 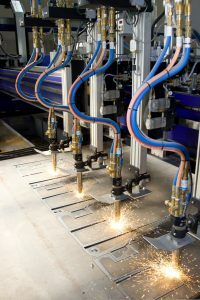 Many early manufacturing IIoT projects have been focused on individual factories, with applications custom-developed for each problem they’re attempting to solve. Once this happens in a few factories, a manufacturing IT or corporate IT department finds itself responsible for managing a series of resource-intensive applications, multiple large sets of siloed data and potentially heavy demands on corporate hardware, networking and personnel resources. A single-factory approach to manufacturing visibility and analytics also fails to take advantage of the promise of big data analytics. These bespoke applications aren’t scalable and often consider only a limited snapshot of potentially available data. Large manufacturers typically use the same machines and processes in many globally distributed factories. Efforts to make those machines perform better and identify the cause of defects are far more likely to succeed if companies can compare the performance of many machines in many environments. 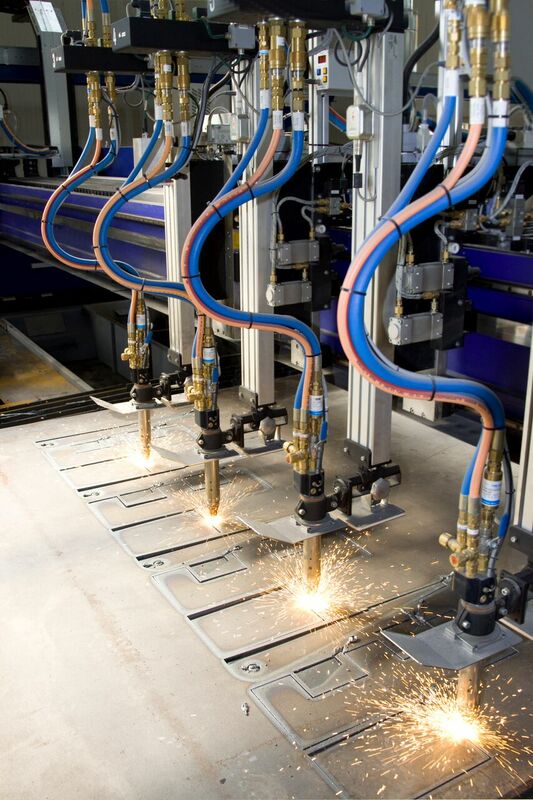 Manufacturers should harness the momentum of the cloud. The economic and technical advantages of the cloud versus on-premises networks means that the vast majority of software innovation is happening with cloud-based software. This is true not just for new technologies, but also for stalwart data center applications like office productivity and ERP. Walling off a factory from the outside world will stunt innovation, cutting it off from the rapid development in data-driven technologies that live almost exclusively in the cloud. Before long, refusing to use cloud technologies will feel like swimming upstream in a fast-flowing river.